When you sign up on Rave, by default, you are live and can start receiving payments immediately. However, your transaction volume will be limited and you will not be able to make use of the transfers and balance top-up feature if your account is not verified. The requirements for being verified are outlined here. 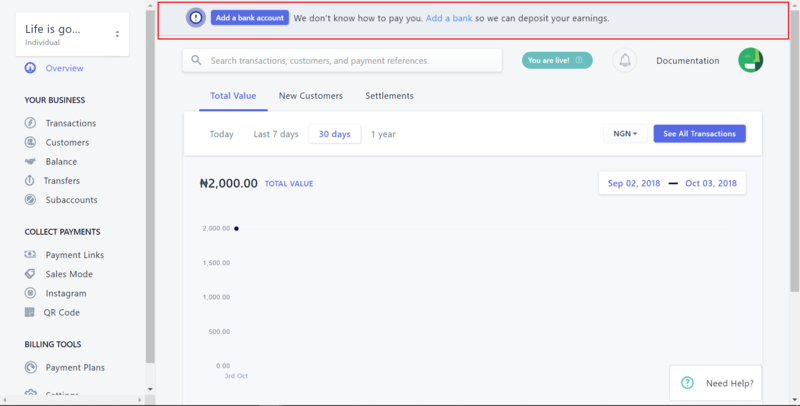 If you are not already verified, you should see a section at the top of any page you visit in your Rave dashboard prompting you to "Add a bank account". Clicking this takes you to a page where you can add your bank account details and provide your ID and company documents as applicable. Once you submit this, Rave's compliance team will review and accordingly verify your account promptly. If you're having any problems with verification, you can simply send a mail to hi@flutterwavego.com, and our customer success team will be happy to assist you.